Posted on September 6, 2018 September 29, 2018 Categories Nero News, Nero ProductTags Nero Platinum 2019, What is new? Do I need to uninstall an older Nero version before I install a new Nero product version – may I uninstall the old Nero version after I installed the new one? Nero products work side by side, meaning that you can install a latest version and leave a former version installed on the same system. You can uninstall the former product version if you like. Check the table below for version references. If you are using Windows® 10 operating system, please be aware that Nero products must be uninstalled via ‘Control Panel > Programs > Programs and Features’. For more details check Nero KnowHow 00008. 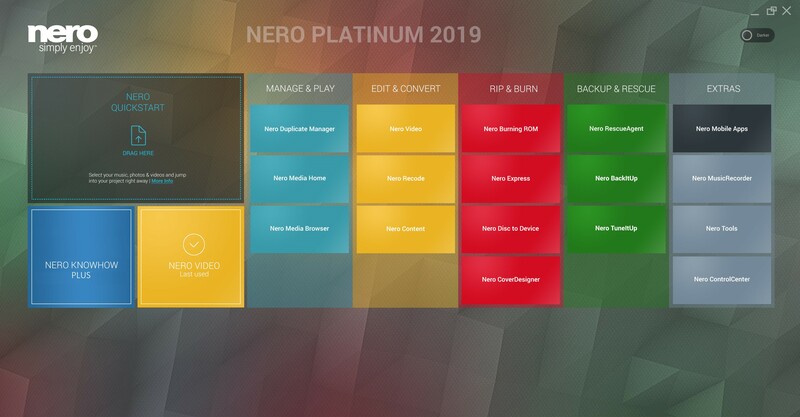 In the case of Nero MediaHome, please be aware that with installing the latest product, the media library of your older product version will be transferred to the latest Nero product version. This way the latest version of Nero MediaHome will automatically have all your media, configurations, slideshows, tags, etc. available in the known manner within the framework of the new feature set of the latest Nero product version. Due to the fact that only one Nero media library can exist on one system, Nero MediaHome will be disabled in your older Nero product version. *In case you have purchased an upgrade product version, your rights to install and use the Software will be limited to either the originally purchased version of the Software or the Upgrade, but not both, in accordance with the provisions of the end user license agreement. Please adapt your installation and uninstall behavior accordingly. For more details please check the end user license agreement. For information on how to move the complete Nero MediaHome media library to a new system please check it out here.